I wanted to connect with other musician channels around my new channel’s subscriber size but it proved difficult and time-consuming to find them. Looking for them made me realise how many great singer-songwriters there are on YouTube with only a handful of subscribers. I decided to put together a playlist where you can quickly find singer-songwriters with smaller YT channels. I found her channel when I stumbled upon her Dancing Queen - ABBA cover, which is just gorgeous. It’s all sparkly and magical and she puts her own twist on the classic. Alex is 14 and writes lovely, delicate songs. Her channel is beautiful to look at, all calm and pastel and the first song of hers I listened to was “Wildflowers.” It’s got a lovely wistfulness to it and when she touches on her high notes it’s meltingly beautiful. The second I heard Dave’s song “All In For You” on a reddit group he posted on, I loved it. It’s just a great song and he has a lovely voice. More please Dave! I absolutely adore Jas’ song “Roadworks.” She plays and sings it with such quiet ease, her lyrical voice surprises you with every line, a song brimming with nostalgia. 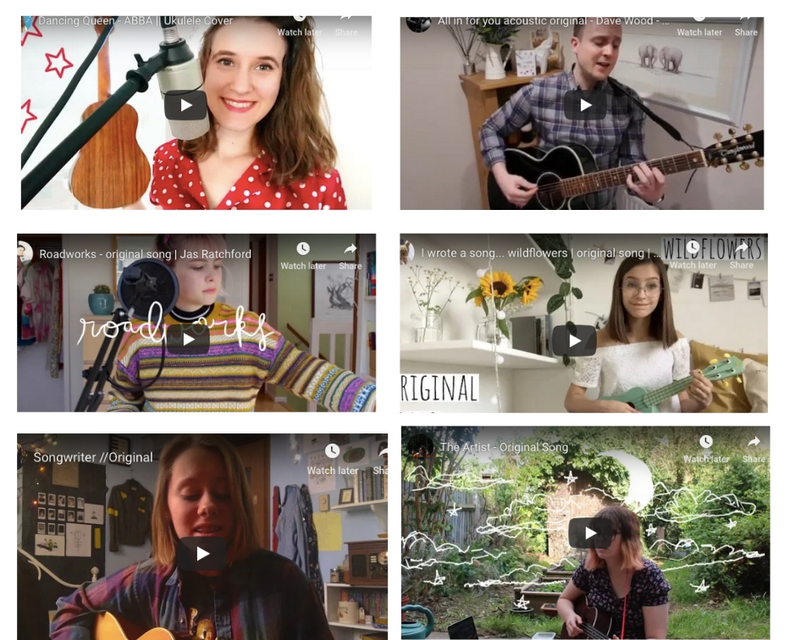 Lauren is a 15 year old singer-songwriter who releases new videos on Tuesdays and Thursdays, usually covers, except for when she has some fresh songs. Here is one of her fresh original songs, “Songwriter” which I think is just lovely. Please do go and subscribe to these guys and support their channel and their music. I will be adding to the playlist on YouTube as I discover more songwriters and channels over the year. You can find me and my music on my channel Jay Moussa-Mann Music - feel free to drop me a comment somewhere on there!